"Tony and the Tan Lines, the world’s newest, hottest, sexiest musical adventure is ready to party with you. 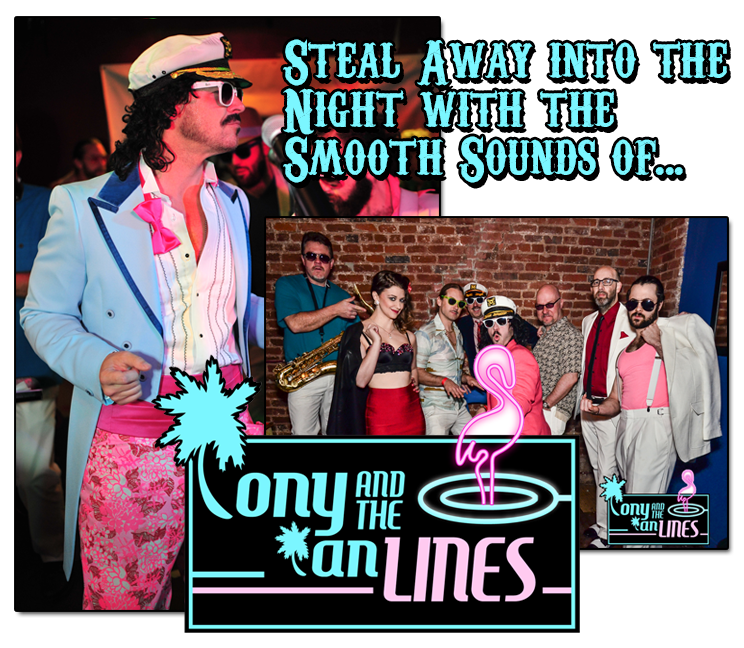 Capturing the smooth soul of the 70′s and the hot Miami sound from the early 80′s, Tony and the Tan Lines are sure to bring the celebration wherever they pull into port. From Hall and Oates and Huey Lewis to Gloria Estefan and Steely Dan, this group of musical sexpots will keep you dancing, drinking, and singing along until the sun goes down. And when it’s all over, you will undoubtedly be thirsty for more." Visit www.tonyandthetanlines.com for more information on the sexiest band in town!